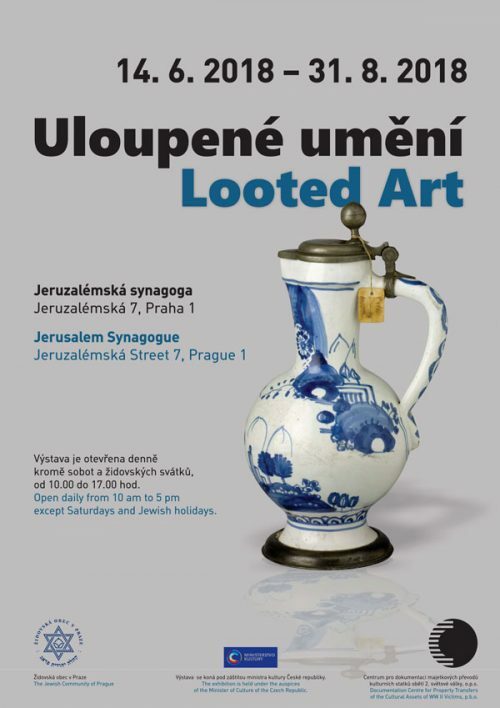 The Exhibition Looted Art at the Jerusalem Synagogue in Prague - Documentation Centre for Property Transfers of the Cultural Assets of WW II Victims, p.b.o. Together with the Jewish Community of Prague, the Documentation Centre organized the exhibition Looted Art at the Jerusalem Synagogue in Prague. The exhibition was available from 14 June to 31 August 2018. The exhibition presents fates of original owners and their colletions, war and postwar handling with works of art and also particular institutions that were or still are the administrators of this property.